Dream of living and working at home? Sip your coffee in the bright beautiful kitchen of this Hawthorn Woods home. Sunlight streams through large windows in every room. Entertaining flows effortlessly greet guests in the grand two story foyer, large living, dining and den. The kitchen and family room open to a large patio with attached 3 season room. Your kitchen features new quartz countertops, stainless steel appliances, cooktop and double oven. Skylights and lake view make the 800 square foot work space or art studio welcoming. The separate outdoor entrance allows clients to come and go with ease. A wet bar, private bath, and closet finish the space. Perfect for bonus room, work at home or in-law arrangement. Roof less than 2 years old, updated bathrooms, zoned heating, cooling and humidifiers, septic 6 years old. Possible first floor master or in-law suite. All brick home in the Stevenson High School district. Schedule a showing. Don't miss this property. I was searching on Blue Fence and found this listing. 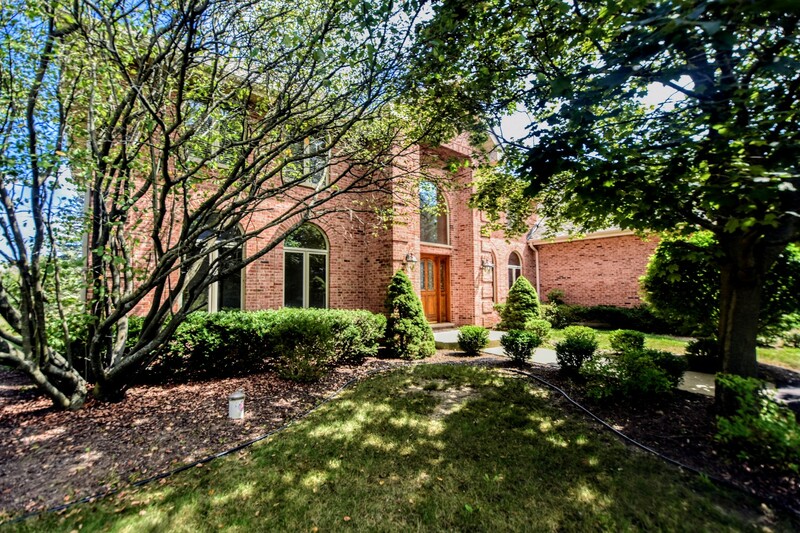 Please send me more information about 16 Greenbriar Lane , Hawthorn Woods, Illinois 60047. Thank you.